If you’re recruiting Class of 2014 college graduates for entry-level positions, you’ve got your work cut out for you. That’s not all bad. Older employees are buying into their younger colleagues’ new ways of working. 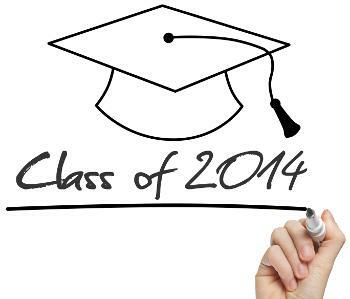 Here are some challenges organizations could face as they employ the Class of 2014 and beyond. Too many social-media-savvy Millennials are better at communicating via text message than face-to-face, which can present an enormous problem at work—even before they start working. Recruiters say many young job candidates answer text messages or phone calls during interviews. They dress too casually and use slang. Some even bring their parents and pets with them. In a recent survey by the Center for Professional Excellence, HR execs said young employees often appear arrogant and display a sense of entitlement in interviews and on the job. Tip: Ask young recruits if they’re ready to become professionals. Explain your rules about personal use of social media and cellphones at work. Prepare for pushback. Despite all of the time they spend “talking” to others via social media, young job applicants lack communication and interpersonal skills, according to a survey of employers by the Workforce Solutions Group at St. Louis Community College. Most of the managers in the study also said they find few job candidates are creative, write well or possess organizational, problem-solving and critical-thinking skills. Tip: Administer writing tests to applicants. Consider including some of your organization’s most capable young employees in the interviewing process to assess how well applicants might engage with their peer group once on the job. The stereotype says Millennials will job-hop. But these young people witnessed the toll the recession took on their parents. About half of them still say they plan to stay at their first jobs for five or more years, a survey by brand research firm Universum reveals. Tip: A quick exit by a new em-ployee often indicates a mismatch between the candidate’s expectations and the reality of the job, says Melissa Murray Bailey, president of Universum Americas. Solution: Before making an offer, be up front and truthful about the work, your culture and your expectations. Graduates are considering more employers than they have in five years, Universum reports. A better economy, coupled with a stronger-than-ever presence of recruiters on college campuses, has left new grads optimistic enough about landing a good job fresh out of college that they feel they can play the field. Tip: While that optimism makes competition fierce for the best and brightest new grads, it could be good news for smaller employers. They might win consideration from students who previously would have jumped on their first job offer. The National Center for Education Statistics estimates that 1.6 million students will graduate with bachelor’s degrees this year, yet their ranks will not close the widespread skills gap facing American businesses. Tip: Hire bright job candidates, and then pile on the training—through internal development programs and online courses. Deloitte urges ongoing training for waves of new hires so to avoid running out of talent with specialized job skills. Young employees are unlikely to embrace the all-work-and-no-play work ethic that many of their parents subscribed to. They expect employers to help them achieve work/life balance, something 40% of execs in the Deloitte study admit their organizations don’t do well. Millennials also want the opportunity to make a difference in the world, and they want to work for organizations that align with their professional, personal and social goals. Tip: During interviews, talk up your policies on flextime, telework, tuition assistance, time off for volunteering and other work/life-related perks. As a Millennial I find all of these articles on marketing/hiring Millennials very interesting and educational. It’s nice to see what others view of my generation, and I agree with a lot of the things I have read. I am now on my first year (as of today, horary) with my company, and the company I work for primarily has employed Baby Boomers and Traditionals. I am the second youngest person in the office (22) and there are probably only 10 people out of the 200 employees who are under the age of 30. And less than 40% of the employees are under the age of 40. I feel like the older the company is, the harder it is for people in my generation to feel accepted and want to stay/grow with the company. I think the biggest issue is that many companies that were founded on traditional principles are so used to working with their system that they just do not want to change and advance. I really feel that if companies were able to utilize the intense creative and bold powers of our generation, it would propel them farther and stronger into the market. Buy basically shunning younger people, how can they hope to sell to the largest generation the world has ever seen? However, until then, my peers and I are nothing more than subservient workers to the execs and middle management.